Educators from Rainbow Schools and beyond took part in the Northeastern Ontario Regional Arts Conference (NORAC) in the new arts studios at Sudbury Secondary School on November 2, 2011. 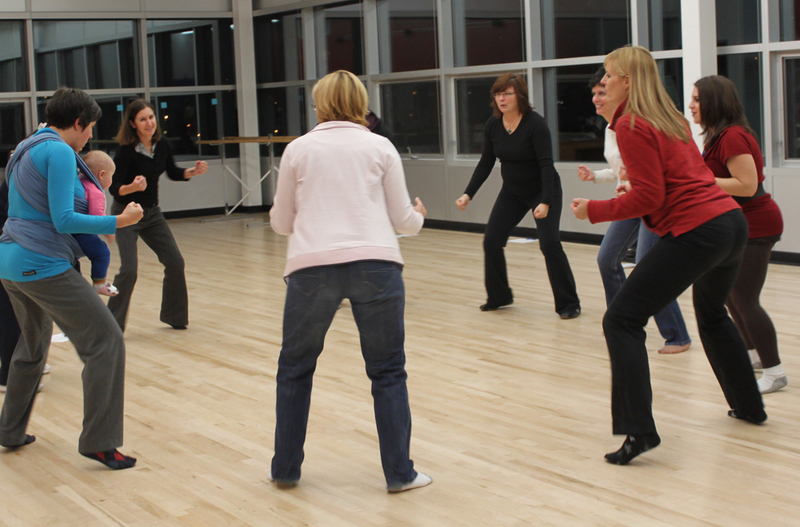 Participants gained practical strategies they could introduce in their classrooms to expose students to dance, drama, music, visual arts and media arts. Rainbow District School Board teacher Emily Caruso Parnell, with daughter Mara, leads teachers in a dance warm-up as part of her dance methods workshop. 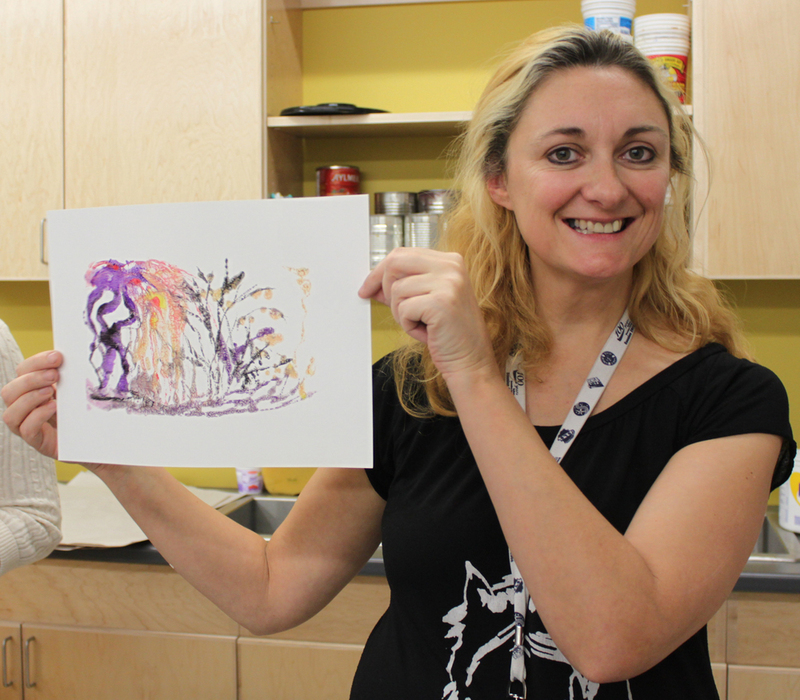 Rainbow District School Board visual arts teacher Sue Bechard displays a two-minute monoprint created at the Northeastern Ontario Regional Arts Conference. 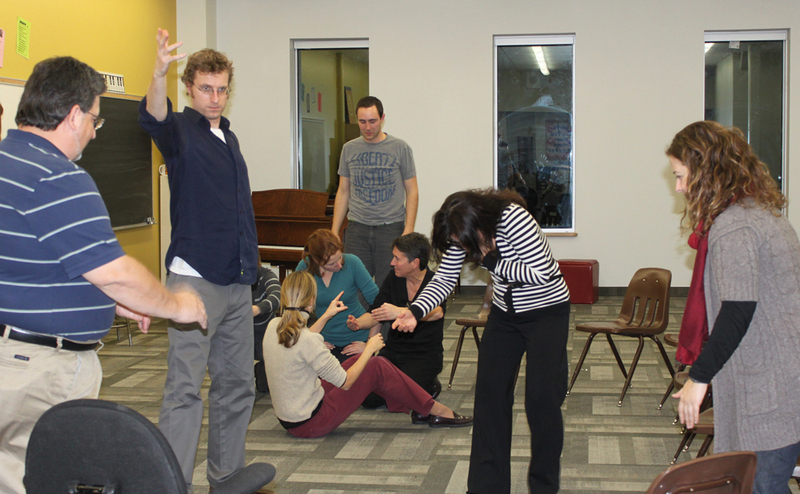 Representatives from the Canadian Opera Company led a drama workshop at the Northeastern Ontario Regional Arts Conference. Participants included, standing from left, Charles Adam, Geoff Rayburn, Stéphane Ostrander and Line Roberge of Rainbow Schools with Katherine Semcesen from the Canadian Opera Company (far right); and, seated from left, Corinne Yantha, Rainbow Schools, Shannon Coyle, Sudbury Catholic Schools, and Nicole Rocheleau, Rainbow Schools. 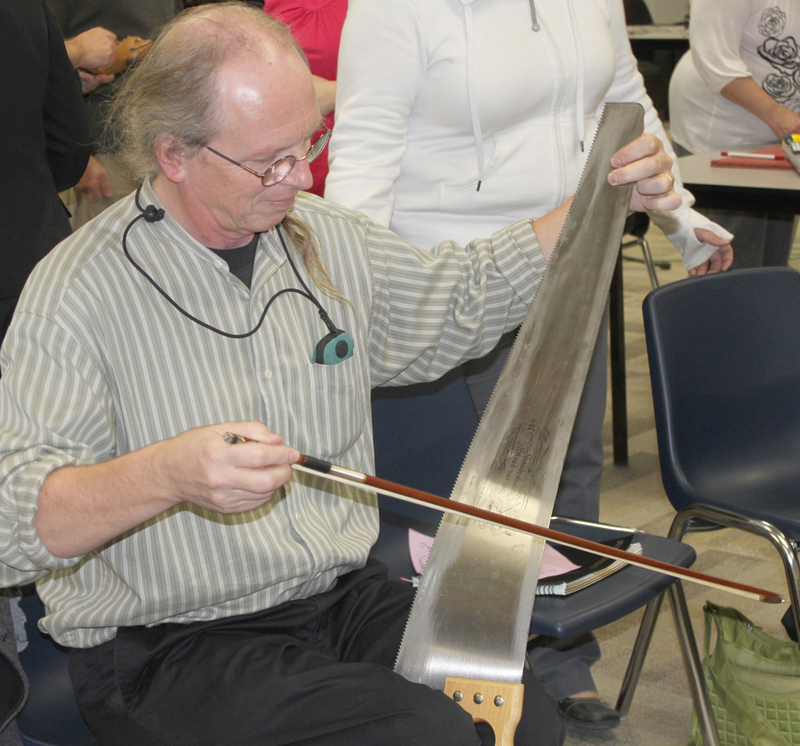 David Buley, Associate Professor of Music Education at the English Language School of Education, Laurentian University, plays a musical saw during a workshop at the Northeastern Ontario Regional Arts Conference.